In the realm of web-based services, there are a lot of options being thrown at consumers. It can be overwhelming for anyone looking for the right fit for their small business. There are several good options in this space, all of them different. These web-based services are not direct competitors to Intervals, they are alternatives, each one representing one company's solution to the project management needs required by small businesses. In other words, there is no one solution, just as there is no one way to manage your projects. You have to find the one that works for you. To help you evaluate these options, we’ve compiled the following project management software comparison between Intervals and other companies. Is Basecamp™ not enough? Try Intervals! Basecamp™ was built to handle basic online task management and collaboration—just one component of running a small business. Intervals was built to solve a more comprehensive problem… helping a small business increase billable hours, keep projects within scope, and learn where their time is going. Try Intervals today and pick up where Basecamp™ left off. Wrike's two most prevalent features are Gantt charts and robust email integration, encouraging you to work through your inbox. Intervals has intentionally sidestepped the traditional Gantt chart, and for good reason. The Gantt chart is a powerful tool, but is less relevant to the agile methodologies typically used by small businesses. And our inboxes, a necessity for communication, are inefficient as a productivity tool. Wrike is a good fit for people who integrate email heavily into their workflow. Intervals includes email integration so that you can get use email to update tasks and start work requests but focuses on time tracking, robust reporting, and the opportunity to close your inbox in you like. Freshbooks is an invoicing app, focused on getting paid painlessly. Collecting money owed is a common problem for small business, and one which Freshbooks has succesfully tackled. 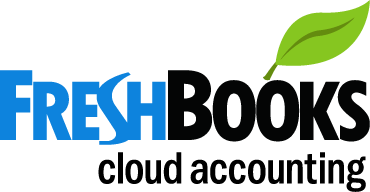 And Freshbooks is ideal for small businesses who struggle with using Quickbooks. The primary difference is that Freshbooks' emphasis is on getting paid after the work is done, while Intervals emphasis is on workflow — time tracking, task management, reporting — and includes some lightweight accounting features for billing clients. At the end of the day, the core platform of Basecamp™ did not focus on time, work flow and reporting, which is where Intervals excels.